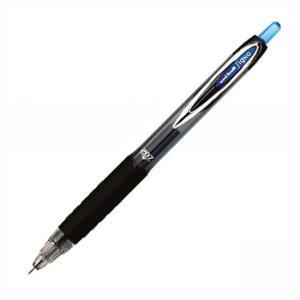 207 Needle Point Pen contains a specially formulated ink that helps prevent check fraud. uni Super Ink is specially formulated to become trapped in paper, helping prevent criminal check washing and other document alteration. Needlepoint delivers precise writing while the durable, stainless steel tip resists bending. Textured grip provides superior writing comfort and control. Pen offers a retractable tip and water-resistant, fade-resistant ink. Quick-drying ink is acid-free and archival-quality for documenting and record-keeping.